Give new life to your own garbage - and avoid landfills - if you compost. Even in the heart of the city you can transform your trash into useful dirt. 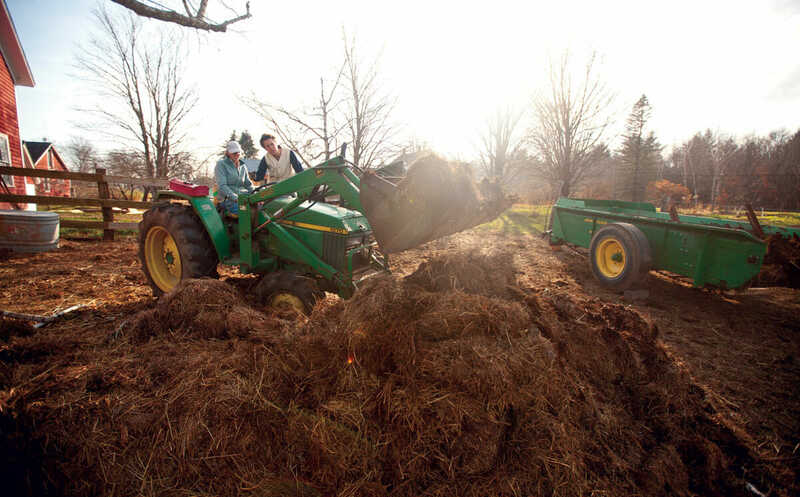 Sarah Lederman of New York City uses a tractor to load sheep manure and straw bedding into a compost spreader. 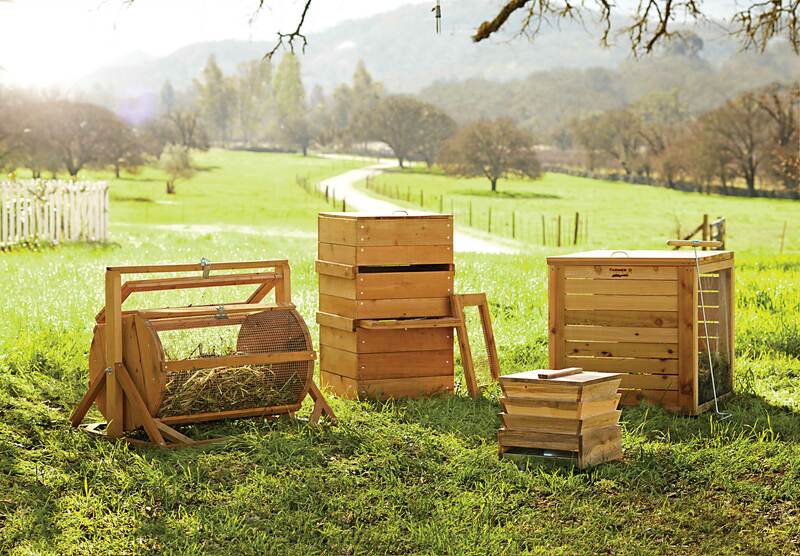 This spring, start composting with some of our favorite products. 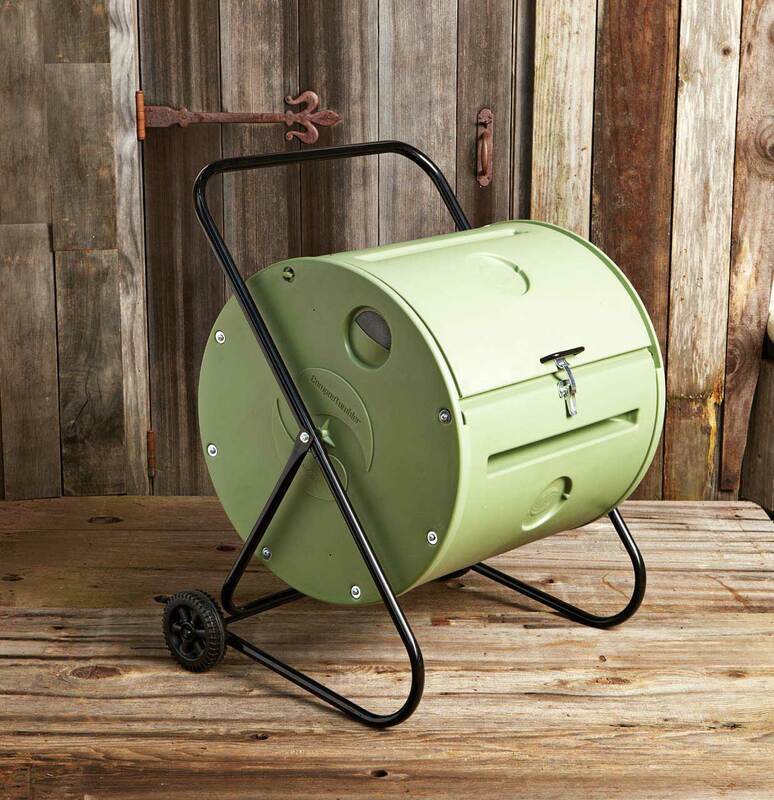 From Gardener’s classic three-bin composter to Williams-Sonoma’s back porch tumbler, choose what’s right for your composting needs. The two best options for composting in any urban, suburban or rural household are indoor worm bins or outside compost boxes. Different strategies, but both yield the same result: dark, crumbly, nutrient-rich dirt for your houseplants, herb pots, roof garden, raised-bed garden or giving to your friends with green thumbs. To start your own worm bin, all you need is newspaper, a bin and a pound of red wiggler worms. To start your own worm bin, all you need is newspaper, a bin and a pound of red wiggler worms. Bins can be bought online, or you can make your own – but they need to have ventilation on the sides, and, ideally, some small drainage holes on the bottom. Fill the bin with damp, shredded newspaper, add the worms and you’re ready to go. 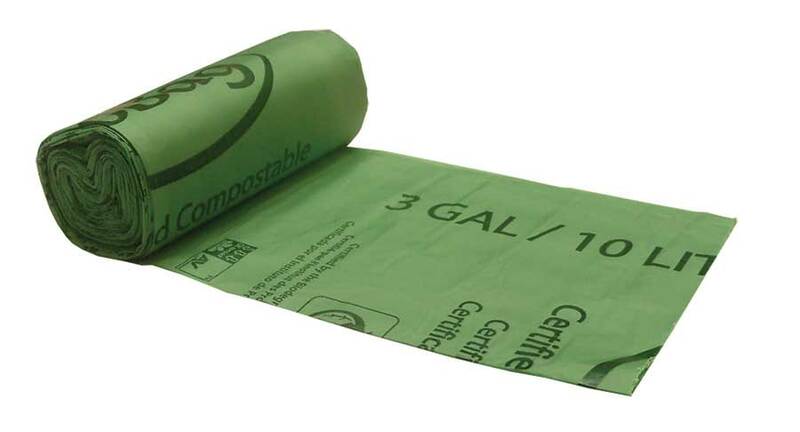 Since worms like to do their work in the dark, make sure the paper covers your food scraps. A pound of worms can eat about 3 pounds of food per week – but if you notice the uneaten scraps are building up, it’s time to get more worms or lay off for a while. 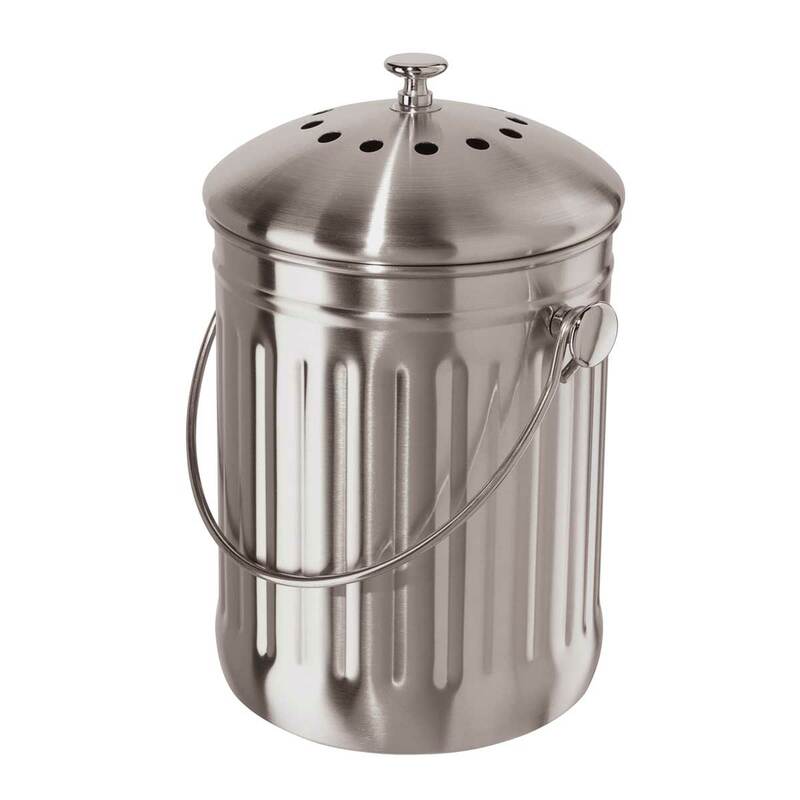 Your worm bin can be tucked into any corner of an apartment – it can go inside a closet, under the sink or inside an unused fireplace or shower. Some people build their own wooden box which can double as a bench or coffee table. Don’t worry – the worms won’t escape. 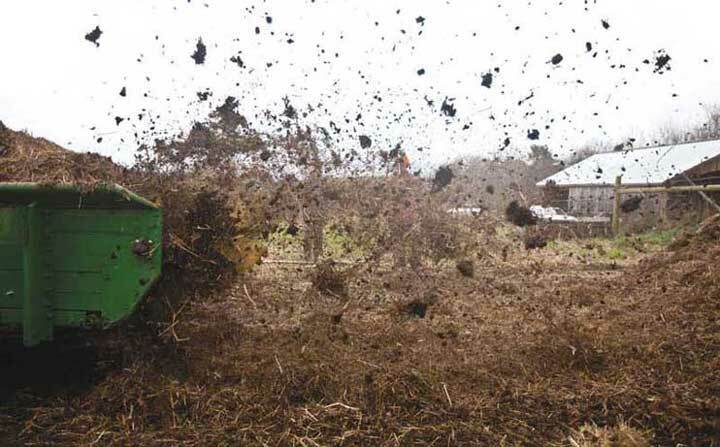 A pile of sheep manure and straw bedding is turned and spread into windrows with the aid of a compost spreader. 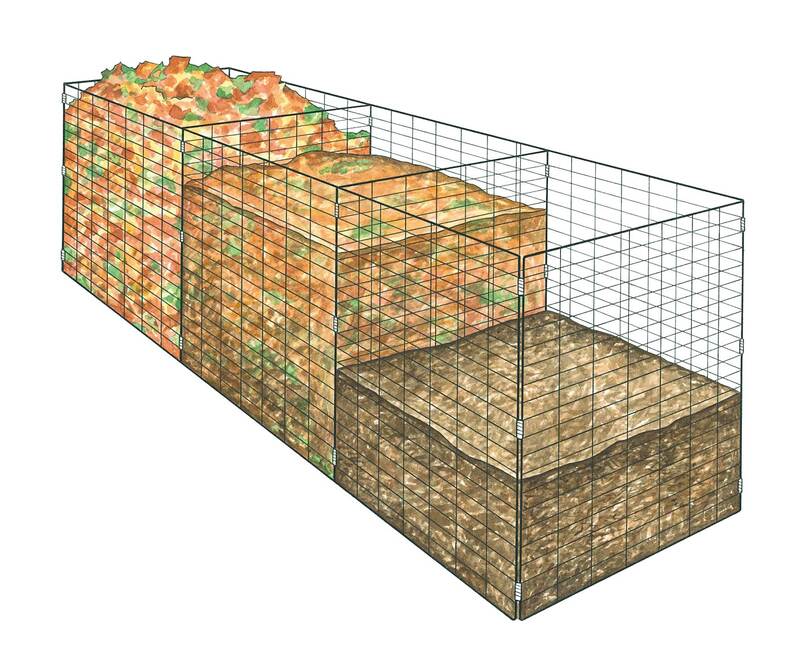 Another technique for a large pile is hot composting, which requires frequent turning but reduces the required time to 18 days. In either system, the secret to good compost is patience. The process is really the work of worms, insects and – most important – billions of tiny microbes, all digesting the waste into soil. Outdoor boxes come in all shapes and sizes, but the key to success is in maintaining a fifty-fifty ratio of what experts call browns and greens, says Christine Datz-Romero of New York City’s Lower East Side Ecology Center. Browns are your dry yard waste – leaves, dry weeds, sawdust or old soil. Greens are wet, nitrogen-rich food waste, manure or grass clippings. Every week, mix and turn the pile to make sure plenty of air gets inside. With both indoor and outdoor composting, keeping the right balance of oxygen and moisture is essential. “The bins should be moist but not dripping wet,” says Datz-Romero. “Like Goldilocks: It needs to be just enough but not too much.” Also be sure to avoid odor or diseases, such as salmonella, by never putting meat, dairy, grease or eggs in the bins. For best results, Datz-Romero recommends taking a class. In either system, the secret to good compost is patience. The process is really the work of worms, insects and – most important – billions of tiny microbes, all digesting the waste into soil. On average, it will take two to three months before you can begin harvesting homegrown dirt. A delicate arugula leaf will be transformed much faster than a corncob, but it all takes time.